Presenting the proof of concept and modelling approach. How can industry take it up? 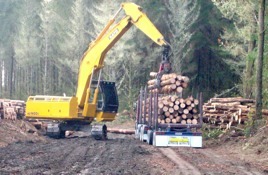 The development of the forest phenotyping platform has been one of the core elements of the GCFF programme and now provides the information resource that forest managers, researchers and tree breeders can use to understand how the interaction of genetics, environment and management affect productivity and wood quality. This workshop will present the proof of concept of the phenotyping platform, methods and modelling approaches and how the tool can be used. We seek input on how growers and managers are interested in using the phenotyping platform, particularly to inform precision forestry or to identify outstanding trees in the forest to inform future deployment. In an attempt to muster plenty of members for our AGM, your committee and field day hosts, the Alexander family, have come up with something pretty special. This year’s AGM will be held on an exclusive private island – in Puketapu Lake. This well-known lake is the crown jewel of the Alexander’s Bridgewater property. Once a degraded swamp, Roger Alexander has spent 30 years restoring and developing the lake into what it is today. This involved clearing invasive willow trees, excavating built up silt and creating a series of islands. An extensive programme of native and ornamental plantings followed. Puketapu Lake is now habitat for large numbers of eels, bullies and a wide range of wetland bird species, including Royal Spoonbill. The lake provides a stunning en- trance to the Puketapu Village and has been used to host community events. Roger will be on hand to discuss the history of the Lake, his various plantings and some of his other projects including a ‘Monet style’ garden. An impressive stand of redwood are worth a mention, as are the 84 grand oak trees that line the entrance way to nearby Springvale. As usual, all of our HBFFA members, their families and friends are invited. What to bring: Bring suitable clothing, a life jacket if you have one. A picnic lunch and a couple of dollars for a raffle. A BBQ and some refreshments will be catered for at the end of the field day, but you may wish to bring your own snacks and refreshments. Creating healthy communities and ecosystems for a resilient future. Hosted by SCION, the 2nd Oceania Ecosystem Services Forum (OESF) will build on the success of the first in Brisbane, Australia in 2017, which raised the profile of the value of ecosystems in decision-making in the Oceania region. OESF 2019 aims to bring together policy-makers, businesses, community leaders and researchers with the aspiration of ‘Creating healthy communities and ecosystems for a resilient future’. to support the implementation of ecosystem services science and practice at local, national and global levels.